This is the summary of consumer reviews for GE 30,000 Grain Water Softener. The BoolPool rating for this product is Excellent, with 4.50 stars, and the price range is $214.00-$758.00. 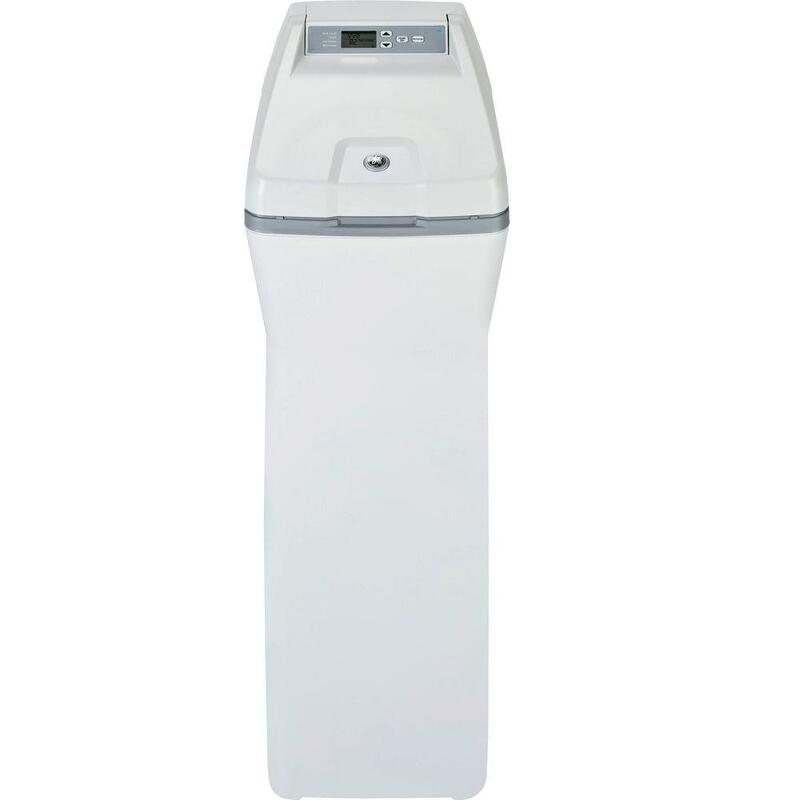 In general, the GE 30,000 Grain Water Softener performs up to everyone's expectations. The water softener is efficient, using less salt which customers appreciated fewer trips to the hardware store. Installation was simple and quick. 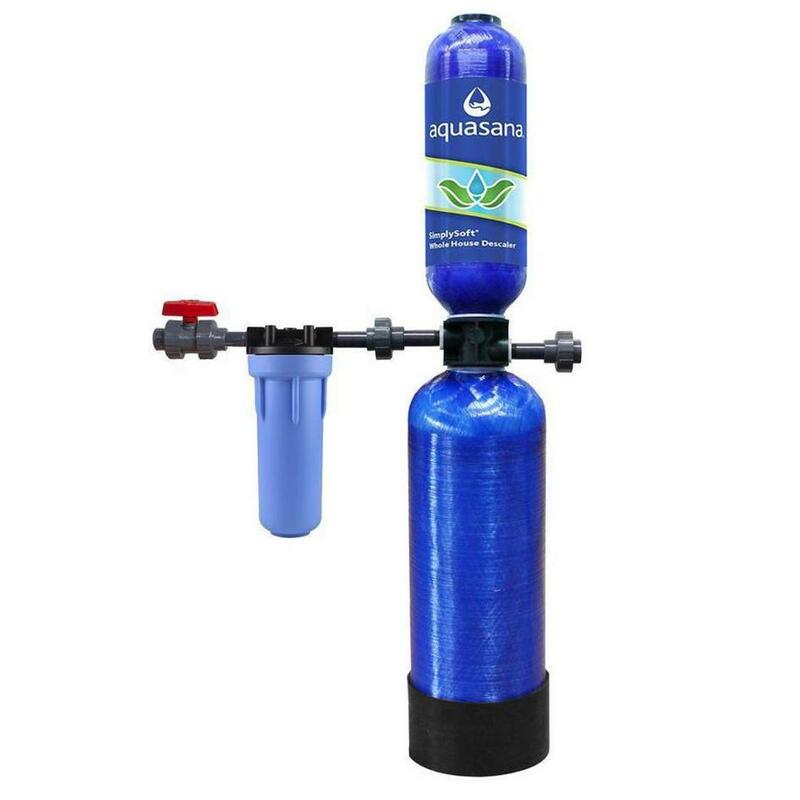 Many reviewers installed the water softener themselves. It was a matter of unplugging their old unit and plugging in the GE unit. Even for those who may not have been mechanical inclined, they were able to easily follow the instructions manual. Of course, there were also some customers who did not want to risk installing the GE water softener themselves, so they hired professional help. In this case, many reviewers highly recommended purchasing the unit through Home Depot. Everybody seemed very pleased with the installer's efficiency and customer service. Customers experienced problems with installation only when they were replacing very old units or units using different sizes of plumbing fixtures. This led to extra purchases, troubleshooting, and multiple trips to the hardware store. Many reviewers also noted that the spectacular performance of the GE 30,000 Grain Water Softener was short lived. After a few months, the unit appeared to break down causing the need for repairs and frustrating calls to GE. 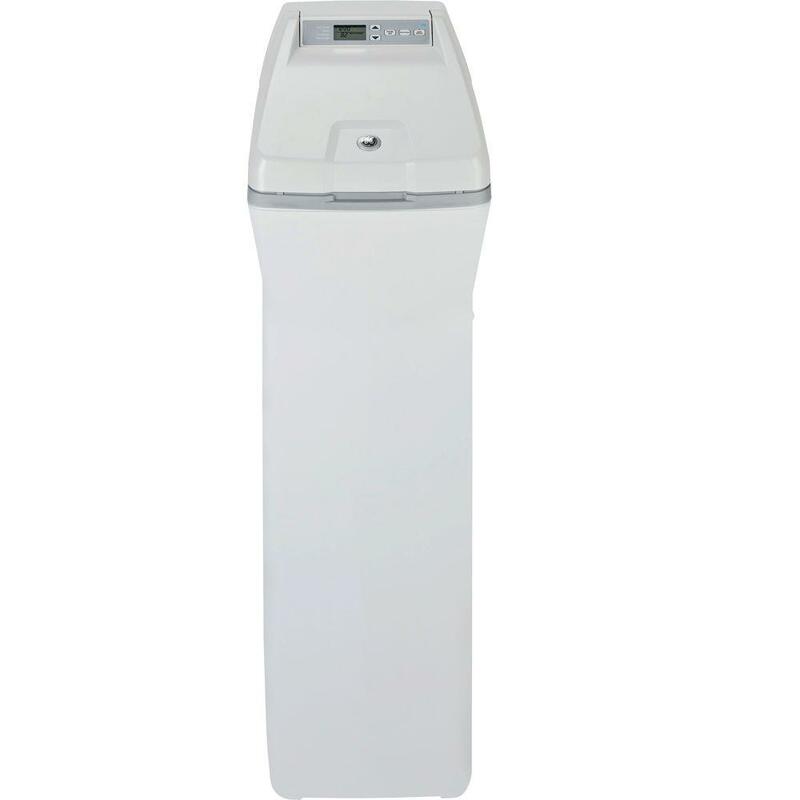 Some reviewers thought the GE 30,000 Grain Water Softener performed just as well as more expensive water softeners. This may be a great value for the unit. But to maintain satisfaction and to avoid frustration, customers may do well, in the long run, to hire a professional installer and look into all warranty options. Bought one for my home and then another one when I moved to another house. I called Home Depot customer service, who then just transferred me to GE customer service, the manufacturer. Went to Home Depot, the plumbing guys were extremely helpful in the Boardman, Ohio store, suggested new plumbing hookup flex pipes that just clamped on my existing 3/4" plumbing pipes and hooked right up to the new water softener. The installation was very simple as the plumbing matched the existing plumbing from my old water softener . Took about 20 min including the time to carry it to the basement. Some of the instructions don't lend themselves to dealing with older plumbing, but the guys at the local big box hardware store were very helpful. The outside of the box states "For plumbing connections up to 1 1/4" dia". We'd hard water with rust and now no problem had to buy some parts to install becuase had another conditioner before and plumbing was different the new bypass system has a supply that comes in from top and had to make a 90 degree turn to get to plumbing used flexible hose to connect to pipes could have used a plumber and saved a lot of time and trouble other than that set up was easy so far very happy. We'd to do some changes with the plumbing (hence my husband not being qualified). Plastic fitting split spewing water everywhere in basement. This machine seems very serviceable too, and parts seem very available if needed. The water softener seems to work well. This machine seems to do everything their $4,000 model does. This seems like a good water softener. Seems to be doing as intented. Seems a lot more efficient than my last one. It seems to be working as it should. This seemed odd to me since the power adapter from the unit I was replacing was a lot larger and heavier (close to 1lb). I've had it a few days now and all seems good. So far has been extremely impressed with this thing, seems to be easier on the salt, only takes 2 hours to recharge and much quieter than my previous model. The 2nd softener's motor failed after 20 months. Have had only a month. GE knows it too they replace mine after a few months because of the brine issues everyone else is having. its only a month old it quit working waiting for to get fixed controls quit two weeks to fix no parts available. We go through maybe 2 bags a month set at 65.Glad I bought it. It started acting up a few months ago. Warranty is worthless as it takes 2 months to get it fixed by which time you've damaged all the high dollar water based appliances in your home (dishwasher, washer etc). Based on past GE experience I expect to have a great experience with this product. This product was simple to program and the water in my house is now soft. It took days, and (hours of time of a paid plumber) to get rid of the residue. Finally got it installed after a few trips to the store to find the correct fittings that was needed. Second one I purchase and works great. I was prepared to spend a few hours getting this unit connected, but with the data printed on the box I was able to purchase everything I needed at the time of purchase and had no extra trips to the store. This is the worst experience I've had making a purchases online in over 20 years. This unit has performed very well since installation with no problems noted. Installation took about an hour (self installed) but the instruction manual could be improved with more illustrations. Most plumbers would prefer to install units that they sell, so perhaps they may not put their best effort into installing another brand for which they can't make extra profit? I removed the old unit, and installed the 30,000 grain GE softener with no problems. We've had this installed for 6 months. Had a handyman install the softener in place of my old waterboss unit. Purchased and installed this softener about 3 months ago. Bought this to replace a previously installed water softener that cost more than twice the price. 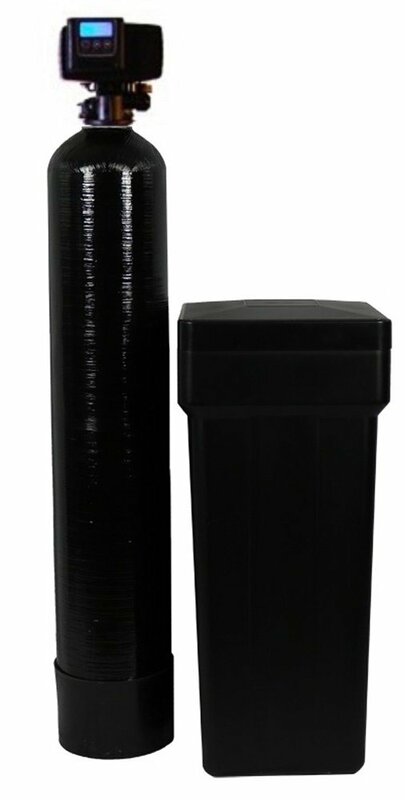 I'd this water softener & a whole house water filter installed at the same time. Keeping the salt level high and checking for salt bridges every time you add salt is a good habit. Bought salt (200 lbs) filled it up. Now salt dam and huge lumps of hardened salt that I've to remove once a week and redo. Be sure to use"Morton's System Saver Salt.". I verified no salt bridge, tested the water & it's hard & then if manually regenerate it's soft & salt level goes down & then a couple weeks later water tests hard once again. Flashing light warning of low salt came on last week. Our Culligan system ran each week, which I'm sure was wasting a lot of salt and water. Installing the unit was very easy. Hoping this one works well! This water softener works great. I still have to say that while it worked it worked well. It uses little salt and works perfectly. Looks like it's working good. Nice system, easy to work with. works exceedingly well, water very soft now and no sediment noticed. Works as advertised easy to deal with. So far works perfect for two weeks. After installing these everything worked great! No issues installing and working good. Easy installment, works wonders, so glad we bought it! It was an easy install, and has worked very well since we'd it installed!. needed additional work and parts to complete installation. I did hire someone to install the product but it's worked great since being installed. I'd this product installed 3 months ago and it works great. Works as advertised and any competent home handy man can install it. 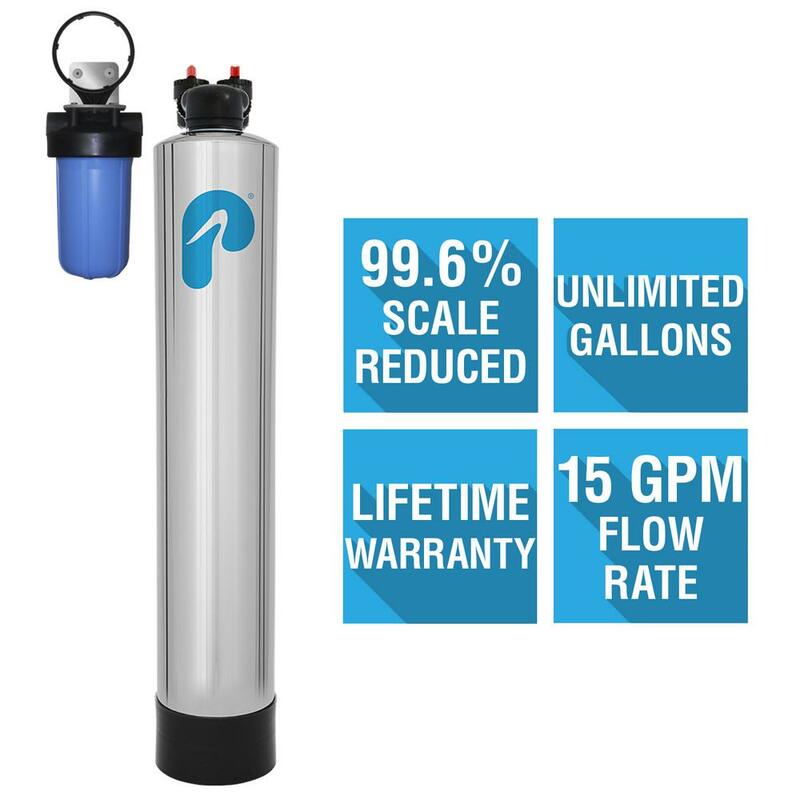 I installed this water softener about 6 months ago, and it's been working great. It wasn't hard to install. Installation instructions were very good, and it took about 2 hours to install. Installation instruction were very good and it took about 2 hours to install. Just installed and noticed difference in water quality already. The product and installation are fine. Had a contractor install system. Had plumber install, and we're happy with the product. The instructions to install were clear. Great reviews on product installed one today. And for $350 to install both (by local plumber), I'm so far ahead than if I'd a water softening company install a system (got quotes of $2k-$3k). Cheap plastic part that make up the bypass valve leaked after installation. After installing we'd brown hot water initially. Installed personally. Prior to installing, I added a whole house water filter unit and then connected the soft water filter. Unit is working to expectations. Installed personally, prior to installing added a whole house water filter unit and then connected the soft water filter, unit working to expectations. Need some work for install the unit. The GE unit was easy to install and set up, basically plugged right in place of my previous unit. Installed the unit November 14, so far works great. Unit is working GREAT !!!!!!!!!!!!. The GE unit provided a clean, single unit (internal tank) to replace what I'd previously. Installed the unit in Palm Springs, CA. We had the unit professionally installed and has worked flawlessly. Easy instructions, easy installation, great product. Good unit, easy to install.